Chances are you’ve eaten a tomato today and you should be glad because the health benefits of tomatoes are quite impressive. There are more than 20,000 known varieties of tomatoes in the world and the most popular ones include beefsteak, grape, and Roma. Few fruits are as versatile as the tomato—we use them to top salads and in sandwiches, they’re the base of ketchup, barbecue sauce, and other popular condiments, and they add both a sweet and savory flavor to soups, stews, gravies, and sauces. Southern Italian cuisine wouldn’t be the same without them, and classics like spaghetti & meatballs and pizza might have never been created if not for tomatoes. But what our doctors love most are the many health benefits of tomatoes. 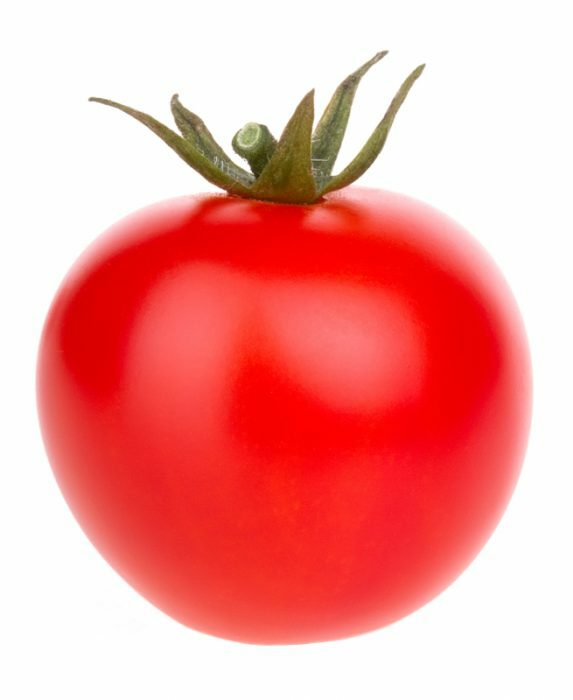 One medium red tomato contains 22 calories, one gram of protein, 0.25 grams of fat, 4.78 grams of carbs, 1.5 grams of fiber, and 3.23 grams of sugar, according to the USDA. It also contains significant sources of vitamin A (20 percent of the recommended daily allowance) and vitamin C (28 percent of the RDA). Tomatoes originated in Ecuador, Chile, Bolivia, and Peru and were cultivated by the Aztecs and Incas as early as 700 A.D., but they didn’t arrive in Europe until the 16th century. Europeans originally believed that tomatoes were poisonous, so the plants were used mainly for decoration until they were incorporated into Spanish and Italian cuisines in the 17th and 18th centuries. There are more than 20,000 known varieties of tomatoes in the world and the most popular ones include beefsteak, grape, and Roma. They come in a wide array of colors such as red, pink, white, black, purple, brown, green, and yellow. Health benefits of tomatoes come from lycopene (heart, skin), calcium (bones), and vitamin A (eyes, hair, heart), among many other key nutrients. Here are six ways that tomatoes can keep you healthy. Your bones, eyes, hair, and kidney will thank you! #2. They can protect your bones. Tomatoes are rich in calcium, which is essential for healthy, strong bones, and teeth, and vitamin K, which is known to prevent osteoporosis and osteopenia. 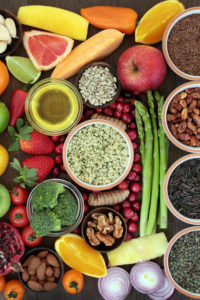 Check out “Calcium-Rich Foods: Tasty Choices are Easy to Find” and “The Role of Vitamin K in Natural Osteoporosis Treatment” for more information. #3. Tomatoes contain lots of vitamin A to benefit your hair, eyes, and heart. Two other carotenoids found in tomatoes are beta-carotene and alpha-carotene. The body converts these carotenoids into vitamin A, which promotes healthy vision, skin, and hair. And although experts still aren’t sure exactly how vitamin A effects the heart, a recent study found that the heart does positively respond to the amount of vitamin A stored in the body. 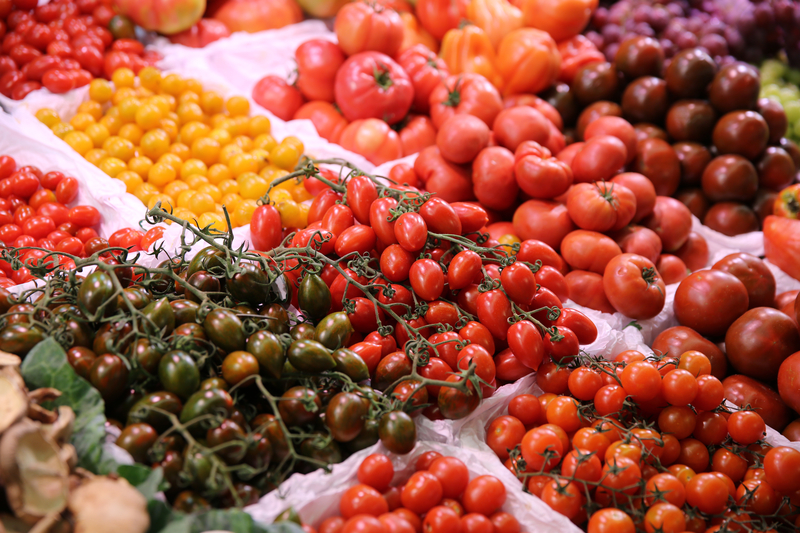 TOMATOES ARE A NIGHTSHADE FRUIT—SHOULD I AVOID THEM? You may have heard that NFL quarterback Tom Brady and his wife Gisele Bundchen follow a very strict diet and they abstain from consuming any nightshades. But what are nightshades and why are they bad? Nightshade fruits and vegetables belong to the family of Solanaceae plants of the Solanum genus and include tomatoes, potatoes, eggplant, peppers, tomatillos, and some types of berries. While these fruits and veggies are very healthy for you, a small group of people have a sensitivity to them that could cause joint pain, digestive issues, headaches, depression, and inflammation. If you notice any of the above symptoms after eating nightshade fruits and vegetables, it’s best to avoid them altogether. Talk to your doctor about food allergy testing and whether eliminating these foods is right for you. #5. Tomatoes can repair damage caused by smoking. A recent study found that vegetables and fruits—particularly tomatoes and apples—can slow down the declining lung function of ex-smokers over a period of 10 years. Compared with adults who ate fewer than one tomato a day, those who ate more than two tomatoes experienced slower lung function decline. #6. They can help prevent several types of cancer. The high levels of lycopene and vitamins C and A can reduce your risk of prostate, colorectal, and stomach cancer. Antioxidant-rich foods are also known to neutralize harmful free radicals in the blood, which can cause cell damage. What Are the Health Benefits of Tomatoes When Cooked vs. Raw? Cooked tomatoes, however, have lower levels of vitamin C than raw tomatoes, so if you’re looking to increase your levels, you might be better off sticking with the raw. Whether you decide to eat them cooked or raw, it’s important to not to dilute the health benefits of tomatoes. If you’re buying tomato sauce or paste, choose a variety with no salt or sugar added—or better yet, cook your own sauce at home. And if you’re eating your tomatoes raw, salt them sparingly and choose salad dressings that are low in calories and saturated fat. Do you enjoy your own home-grown tomatoes? They’re one of three easier types of produce to grow—easy to start indoors and transplant to a garden. Our friends at Countryside Daily offer free advice in the post How Long Does It Take Tomatoes to Grow? Are the Health Benefits of Tomatoes Better When They’re Organic? Even though they’re typically smaller than conventionally grown tomatoes, organic tomatoes have significantly higher levels of lycopene, sugar, and vitamin C, according to a recent study published by PLOS ONE. The researchers found that organic tomatoes produce more “stress compounds,” such as vitamin C and lycopene—to defend themselves against pests, which are normally killed by heavy-duty pesticides in conventional farming. The study also found that because organic fruits and vegetables grow at a slower pace than conventional ones, the plants have more time to make flavonoids and other nutritious compounds. add, allergy, allergy testing, antioxidant, antioxidants, beta carotene, blood pressure, calcium, calcium rich foods, calories, cancer, carotenoids, cholesterol, colorectal, complete nutrition, depression, diet, digestive, Digestive Issues, fiber, food, food allergy, food allergy testing, free radicals, headaches, health, inflammation, joint pain, kidney stones, lower your blood pressure, lycopene, natural osteoporosis, natural osteoporosis treatment, nutrients, nutrition, organic, osteopenia, osteoporosis, osteoporosis and osteopenia, osteoporosis treatment, oxidative stress, pain, pesticides, potassium, potatoes, prevent osteoporosis, Prostate, protein, recipe, reduce triglycerides, reduce triglycerides naturally, skin, smoking, stomach cancer, stress, stroke, strong bones, studies show, sugar, to reduce triglycerides naturally, triglyceride, Triglycerides, types of cancer, vegetables, vitamin, vitamin a, vitamin c, vitamin k, vitamins, your bones. Thank you for the up-date on Tomatoes! Although I grew up in an Italian immigrant family that ate tomatoes all the time, I did not know a lot about tomatoes that is noted here.